New and used container sale and container hire services with a wide selection of container types including 6' - 8' - 10' - 20' - 40' storage containers, shipping containers, refrigerated containers, cold stores, open top, side door, flat rack and Hi-cube containers. We have the right container for you! Hire and sale from the TITAN depot network throughout the United Kingdom. We operate multiple nationwide UK self-storage sites. All sites include drive to ground floor storage rooms where you can park right beside the doors. All are secure with individual code or key access to sites and storage rooms. TITAN self storage sites. 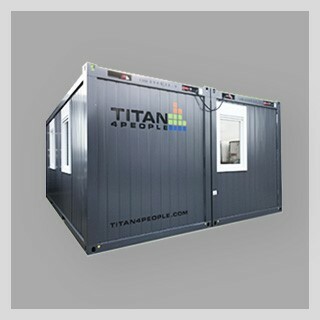 TITAN's fleet of modern technology, power efficient and extremely user friendly portable cold stores deliver super customer experience. Storage solutions between -60°C to +60°C. 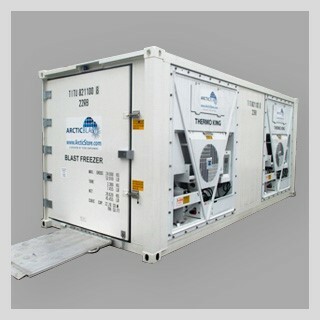 10', 20' and 40' ArcticStore cold storage containers, blast freezers and Arctic SuperStore large scale portable cold rooms for hire and sale. Purpose built or modified modular accommodation as housing, offices, workshops, building site facilities including mobile offices, canteens, stores, welfare and much more. Services including in-house HIAB vehicles from a multitude of depots including Aberdeen, Belfast, Birmingham, Bristol, Cambridge Caxton, Felixstowe, Glasgow, Grangemouth, Hull, Inverness, Leeds, Liverpool, London, Manchester, Leicester Melton Mowbray, Poole, Southampton and Teesside. 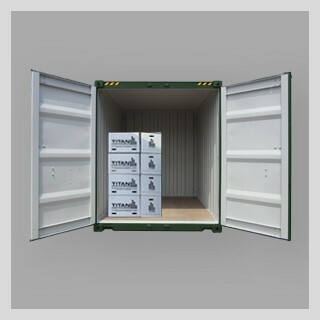 New and used DNV EN 2.7.1 offshore containers and CCUs for hire and sale. All sizes, all types! 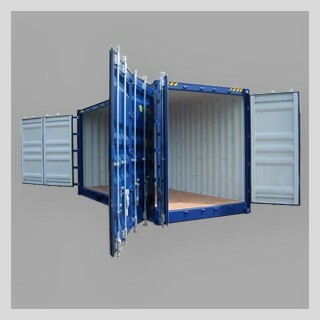 New and used ISO and DNV shipping/storage containers for hire and sale. We've got the extra space you need! Clean and secure - always competitive rates. Offices and accommodation modules and site facilities. Your design - we build it!